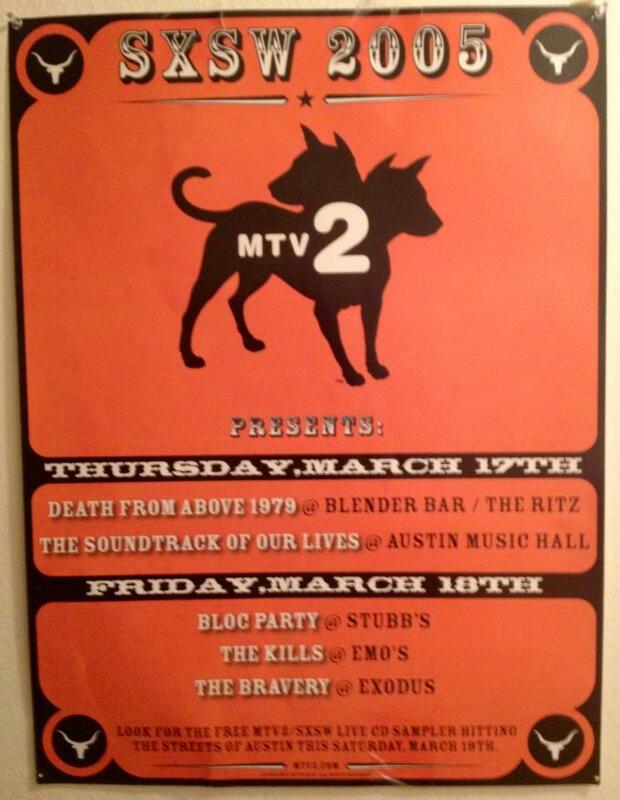 On first glance, this poster for a SXSW show back in 2005 doesn’t seem worth discussing in my “Posterized” series. It’s really more of an advertisement for MTV2 than actually a poster promoting a concert. Most shows at SXSW are sponsored by someone (a record label, an online streaming outlet, a beverage company, a natural gas/fracking conglomerate) but rarely do the posters feature much about the sponsor other than a small watermark logo in one of the corners. The second reason this poster doesn’t seem to deserve much attention is the fact I didn’t even go to any of the shows listed on the poster. They were all day parties, something I wasn’t even familiar with in those early days of SXSW. No, this is far from the coolest concert poster I own, and no, I didn’t even attend these shows. But despite these two admissions, it’s still one of my favorites in the entire collection that adorns my walls because it reminds me of one of the best concerts I ever attended. To be posterized is to be remembered – whether it be Tracey McGrady over the towering Shawn Bradley, Malik Rose humbling the finger wagging Dikembe Mutumbo, or Vince Carter shaming every unsuspecting European that got in his way during the 2000 Olympics. 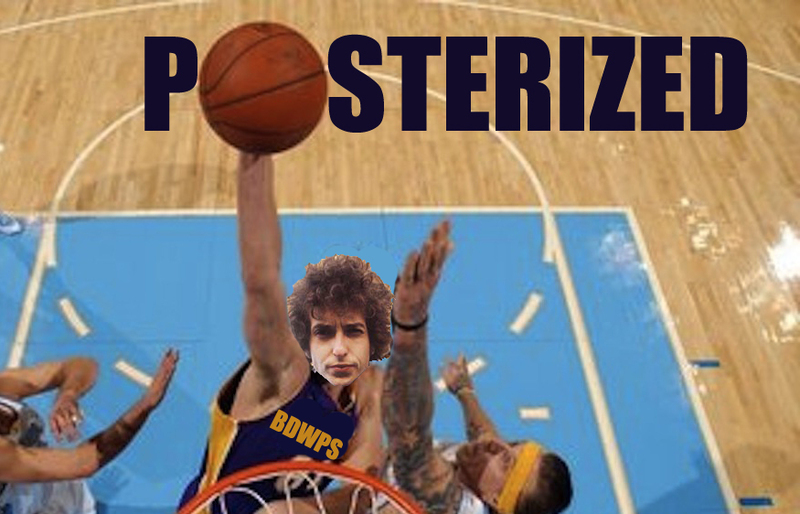 The concept of being posterized began with the Airness himself, Michael Jordan, victimizing NBA rosters throughout the late 80s and early 90s. Guys like Patrick Ewing, Kevin McHale, and Hakeem Olajuwon will forever be immortalized thanks to their inclusion on iconic Jordan posters that adorned the bedrooms of every warm-blooded teenage boy between 1986 and 1993. My childhood bedroom would be one of these many Meccas to Jordan thanks to my older brother who shared a room with me. I tried countering my brother’s yearning to be “Like Mike” with as many David Robinson posters as I could find in Northwest Iowa (as difficult as you would imagine). I eventually held a dominate Admiral grasp on the room once my brother and his Jordan posters went off to college.